My Cockpit: a travel plan, a travel assistant, a travel shop - extra sales at any time. My Cockpit is always and everywhere there for the travellers. 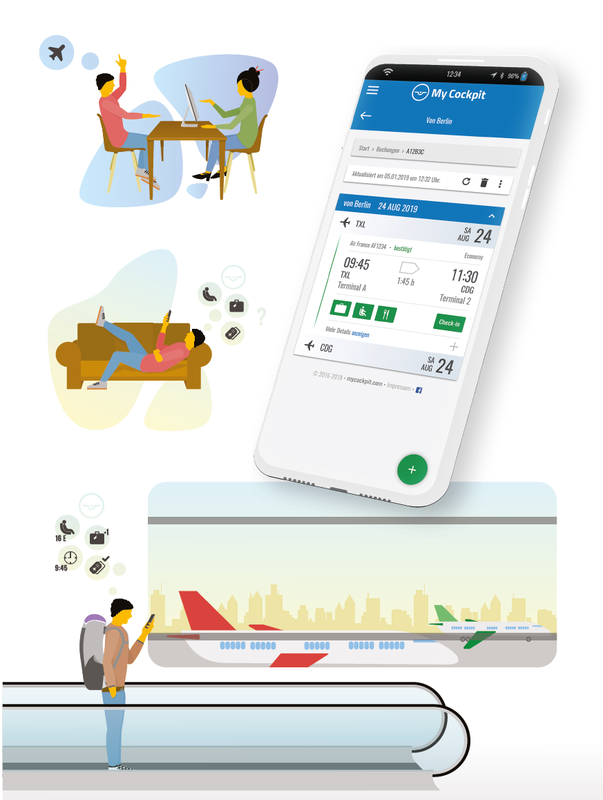 Travellers can enter their booked flights on MyCockpit, keep an eye on flight time changes or gate changes, can reserve seats, add luggage, enter frequent flyer numbers and can select special meals (e.g. vegetarian, kosher, etc.). All in a single application and, of course, GDS overarching. Travellers are very flexible, Travel Agencies earn on it. If seats, luggage, automatic check-in and other extras are booked in My Cockpit, you make money! A commission is deposited on all extras, which we distribute to you.